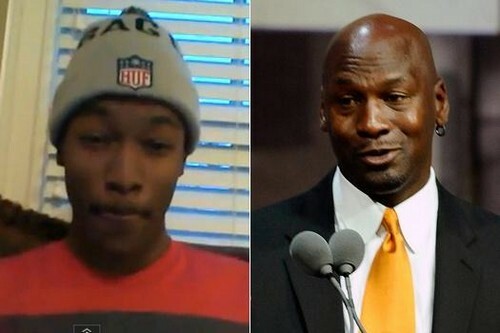 Michael Jordan will be happy to hear that the paternity test for him to take in order to see whether or not he was the father of Pamela Smith‘s 16-year old son, Grant Taj Reynolds has been dropped. Yes, the former girlfriend that Michael dated for a couple of months back in the 90s made the claims that her son was Michael’s, however, as of today, she has taken back those claims. At least for now. She hasn’t quite denied that Jordan is the father, but she she had asked the judge to dismiss her case against him for the time being, despite the fact that she was the one who had come forward and asked the former NBA star to take an immediate DNA test to prove him wrong; Michael didn’t believe he was the father, but Pamela was 100% sure of it. Which leads us to think that Michael probably took the test, found out it was his and decided to pay his ex-girlfriend off with some hush money so that the media doesn’t end up making a big deal about him not having had contact with his biological song for sixteen years. We can definitely see why he would do that; it’s humiliating for others to know and he’s getting married soon, so better to hush her up so everyone stays happy. As of right now, no word on whether or not this is true, she could have also backed down from the claims maybe because she was uncertain that she would win the case, knowing that she may have slept with other men during that time. Who knows? But, for a woman to be so positive about a paternity test wouldn’t just backed down from it unless she had been paid off some big bucks, right?